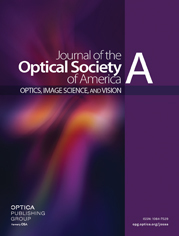 Perceived contrast was measured under natural viewing conditions with the use of contrast-matching and magnitude-estimation paradigms and found to be independent of luminance over a range of luminances from 37.5 down to 8 cd/m2. However, this contrast constancy broke down when the dimmer target was below 8 cd/m2. The perceived contrast of the dimmer target then fell below that expected from contrast constancy. The extended range of contrast constancy previously reported [ J. Physiol. 252, 627 ( 1975); Vision Res. 16, 1419 ( 1976)] has been thought to imply neural mechanisms with unlimited constancy, but these researchers permitted differential adaptation to the brighter and dimmer targets, which were seen haploscopically (by different eyes). As our natural-viewing procedure ensured that both bright and dim targets were presented to retinal areas in a roughly constant state of adaptation, our failure to find extended contrast constancy implies an important limitation on the neural processing of contrast.